With hundreds and even thousands of healthcare plans available for purchase in most locations, benefits advisors have an impossible task evaluating and selecting the right plans for their clients. Aivante’s break-through analytics methods uses advanced science, technology, big data, and market intelligence to rigorously test and formulate the right selections that best match needs and deliver top value. Aivante conducts a forensic-level examination of a plan’s coverages and costs to determine the best fitting plan recommendations for both a company’s total workforce and for individual participants. Accurate expense forecasting is critical in determining the right fitting plan selections. Every individual has a unique and dynamic health profile for how they will consume benefits. Past claims data is often an imperfect predictor of future costs because of the imperfect choices people make when dealing with health issues. Claim experiences, when combined with clinical results, family history, and lifestyle are a more accurate predictor of future healthcare costs. Aivante identifies a person’s underlying state of health, and also projects benefits consumption changes as people age and as health conditions progress over short, mid and long-term time periods. 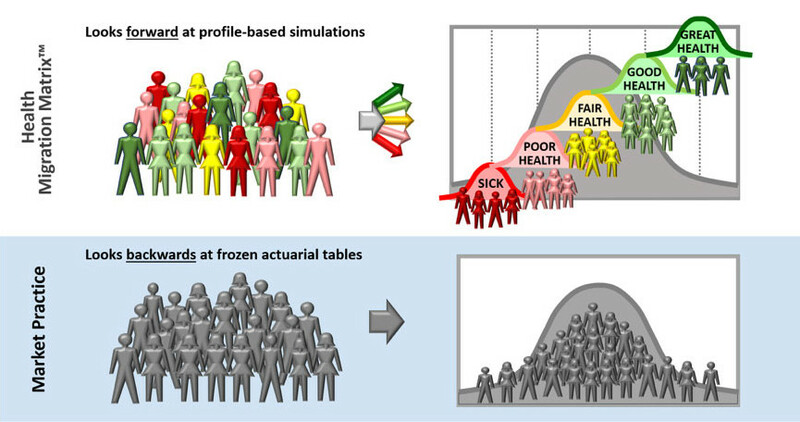 Aivante works with people’s personal health histories, connects them with the experiences of peers in the larger population, and scrutinizes all claims and costs for links, patterns and correlations. As a result, Aivante constructs a unique and highly personalized profile of each participant. This allows participants to experience their data as personally compelling health information, and a window into their future. Aivante takes each individual’s health profile and comprehensively tests it against plan coverage terms. This allows Aivante to identify the best fitting and best value plans for each person’s unique personal health profile. Aivante constructs tailored and exacting recommendations for clients using Aivante’s sophisticated analytics methods, personalized employee profiles, and massive databases of healthcare information. 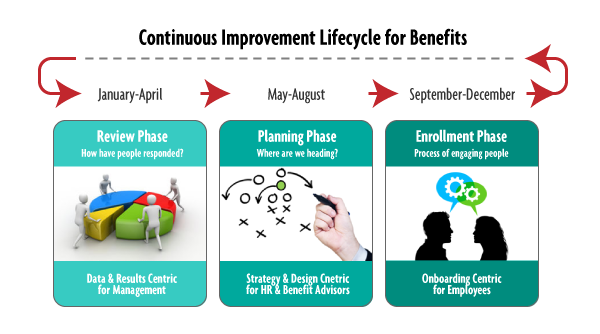 Aivante equips advisors and employees to pinpoint the right-fitting menu of plans for a company’s unique and diverse population of employees and dependents. 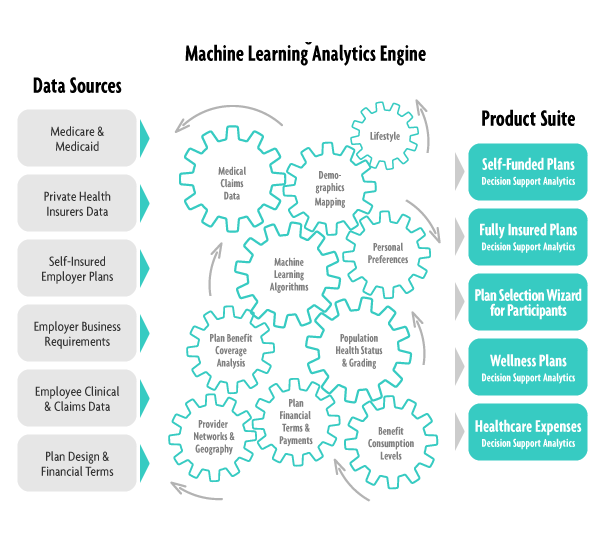 Aivante has demonstrated savings of 15% or more in total healthcare costs by determining the right menu of healthcare and supplemental benefits plans for companies to provide to their workforce. An amazing scale of healthcare data is available and usable for rigorous examination and insight. Aivante utilizes the massive “All Payers” claims data, company claims data, clinical treatment protocols, census data, plan billing instructions and demographic data. Aivante doesn’t build forecasts with actuarial assumptions and tables. Aivante builds forecasts with millions of testing simulations that use actual census data, actual claims data, and actual participant experiences. Aivante formulates plan recommendations at both a collective level for the total company, and at an individual level for participants. Machine learning and cognitive computing methods capture and test the results and refine the algorithms in pursuit of continuous improvement. Aivante projects benefits costs and consumption across a person’s full lifetime. Aivante opens a window into the future, and people are presented with options that can shape, mitigate and improve their future state-of-health. Aivante utilizes data at an analytical level of forensic investigation that is unmatched in the industry. Aivante solves many claims data imperfections by correlating a person’s underlying health status and their claims history to a highly articulated health grading process. Health grades support a strong connection between an individual and a pool of relevant peers in the larger population who have similar health status profiles and health conditions. Each person’s health grade can then be rigorously tuned and intensely individualized through millions of scenarios and algorithmic correlations testing to identify the best-fitting health insurance plan recommendations. 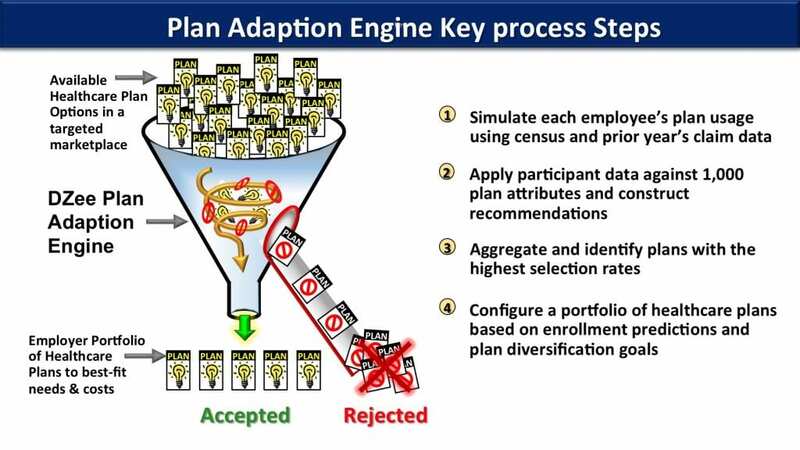 Why can’t other plan selection tools make the same ROI claim? Our Low-Pricing creates a low break-even threshold, and achieves savings that are larger than expenses (positive ROI). Other tools don’t have the level of scientific methods depth & precision for making astute cost predictions. We apply big data, rigorous algorithms, machine learning, demographic matching & intense testing against 1,000 health plan attributes. The healthcare data banks that exist today are of mind-blowing size & complexity. The vast intelligence that lies within this data has been largely untapped. Our products deliver ground-breaking expertise in transforming an ocean of healthcare data into actionable intelligence that matters most to you & your family.